The former first lady made a surprise appearance alongside other female stars. 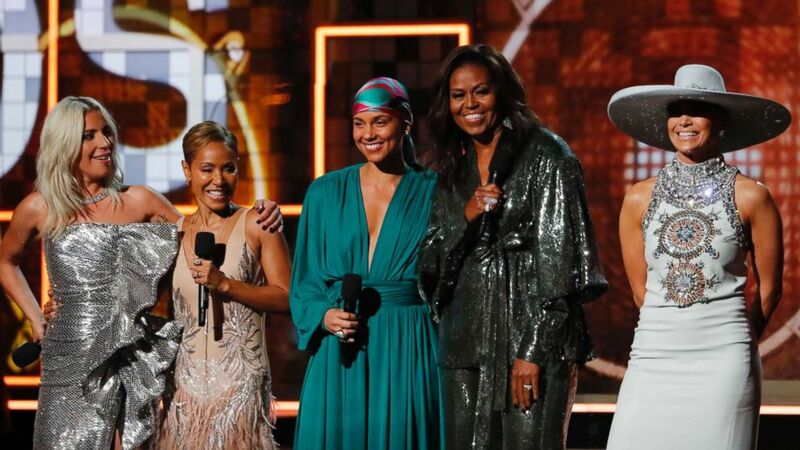 Michelle Obama’s surprise appearance at the 2019 Grammys was one of the biggest moments of the star-studded night. One person who was not as impressed? Obama’s mother, Marian Robinson, who asked her if she met any “real stars” at the awards show. Obama, 55, shared a text exchange with her mom after Sunday night, when the former first lady took the stage alongside Grammys host Alicia Keys and Lady Gaga, Jada Pinkett Smith and Jennifer Lopez. (Mike Blake/Reuters) Lady Gaga, Jada Pinkett Smith, Alicia Keys, former first lady Michelle Obama and Jennifer Lopez at the 61st Grammy Awards Show in Los Angeles, Feb. 10, 2019. “I guess you were a hit at the Grammys,” Robinson wrote her only daughter, followed by a smiling emoji. Michelle Obama shares deeply personal issues in her new memoir, "Becoming." The former first lady's memoir, "Becoming," was released on Nov. 13. “And I just had to share it with all of you,” Obama wrote on Instagram. Obama opened up in “Becoming” about her matter-of-fact mother who, with her husband, Fraser Robinson, raised Obama and her brother, Craig Robinson, on the South Side of Chicago. Marian Robinson lived with the Obamas during their eight years in the White House before returning to Chicago. 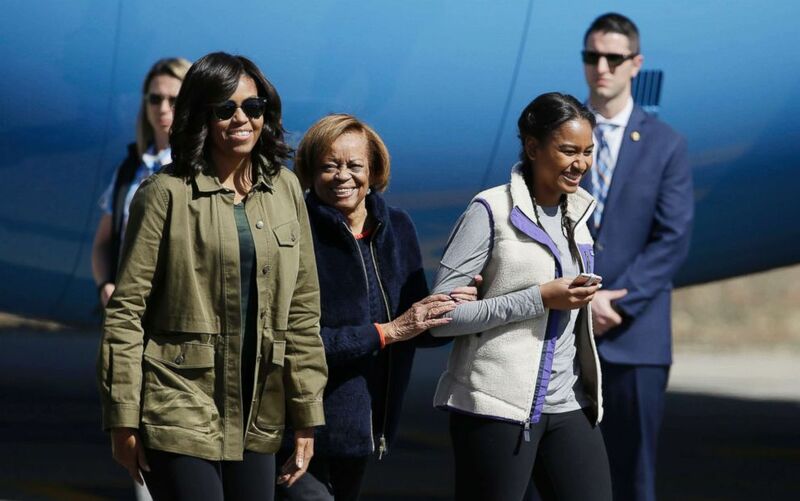 (Natacha Pisarenko/AP) In this March 24, 2016 file photo first lady Michelle Obama, right, her mother Marian Robinson, center, and daughter Sasha arrive at Bariloche, Argentina. Obama told “Good Morning America” in November, when “Becoming” was released, that her older brother remained their mother’s favorite child, even while she served eight years as First Lady.